Memorial Day is Monday, May 28. 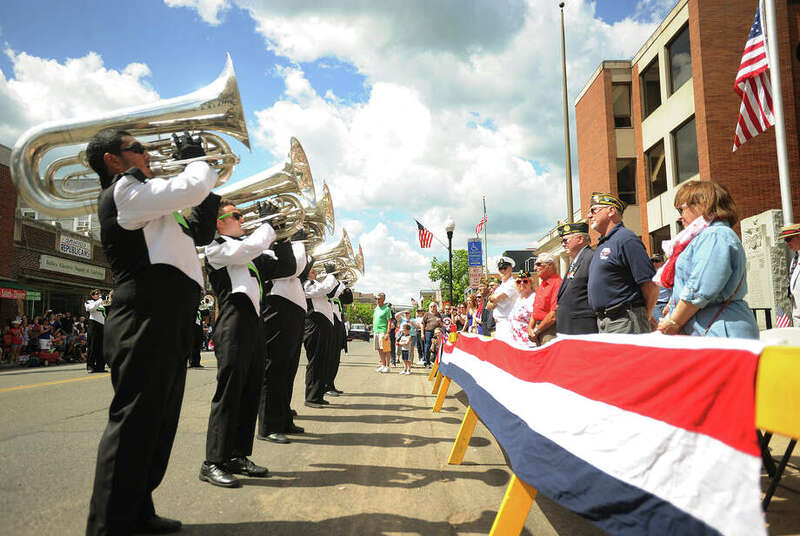 Here are all the local parades to enjoy and celebrate our military service members at this year. Sunday, May 27, 2018 at 2 p.m.
Monday, May 28, 2018 at 6:30 a.m.
Monday, May 28, 2018 at 9:30 a.m.
Monday, May 28, 2018 at 9 a.m.
Monday, May 28, 2018 at 10 a.m.
Wreath laying ceremony held in front of city hall at 9:45 a.m.
Steps off from Veterans Park on Seaview Ave.
Sunday, May 27, 2018 at 12 p.m.
Saturday, May 26, 2018 at 11:30 a.m.
Monday, May 28, 2018 at 11:00 a.m.
Sunday, May 27, 2018 at 11:30 a.m.
Monday, May 28, 2018 at 12 p.m.
Monday, May 28, 2018 at 10:45 a.m.
Monday, May 28, 2018 at 10:30 a.m.